Six Samsung washing machine models are faulty and could catch fire in case of moisture that condenses and drips on an electric component. Samsung started the recalls of 36,000 affected washing machines back in 2013, and it has so far recalled 78% of these washing machines. This implies that there are still more than 7,900 faulty washing machines out there that might catch fire anytime (assuming that the majority sold are still in used, which is likely given the lifespan of typical washing machines). The owners of these hazardous home appliances have either ignored the recalls or for some reason haven’t been notified yet. In Australia, almost half of the affected Samsung washing machines haven’t been checked yet. There have also been alleged issues with the recalled machines according to two Sydney mothers, who have launched a Facebook group. They’re trying to get the state coroner to investigate the company’s recall process. Second, please contact Samsung directly if you own one of the six models listed above and the company hasn’t repaired your washing machine yet. Samsung has a useful rework page dedicated to the cause. Third, ensure that you’re at home when using your Samsung washing machine until the problem has been fixed. 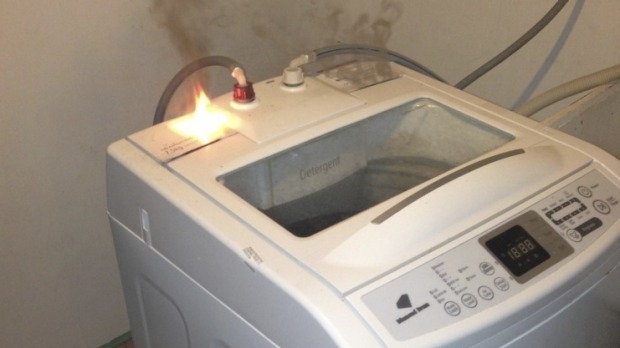 The NZ Fire Services report that there’s a fire “every month or two” in New Zealand caused by a non-recalled washing machine. Hence, please take this issue seriously.